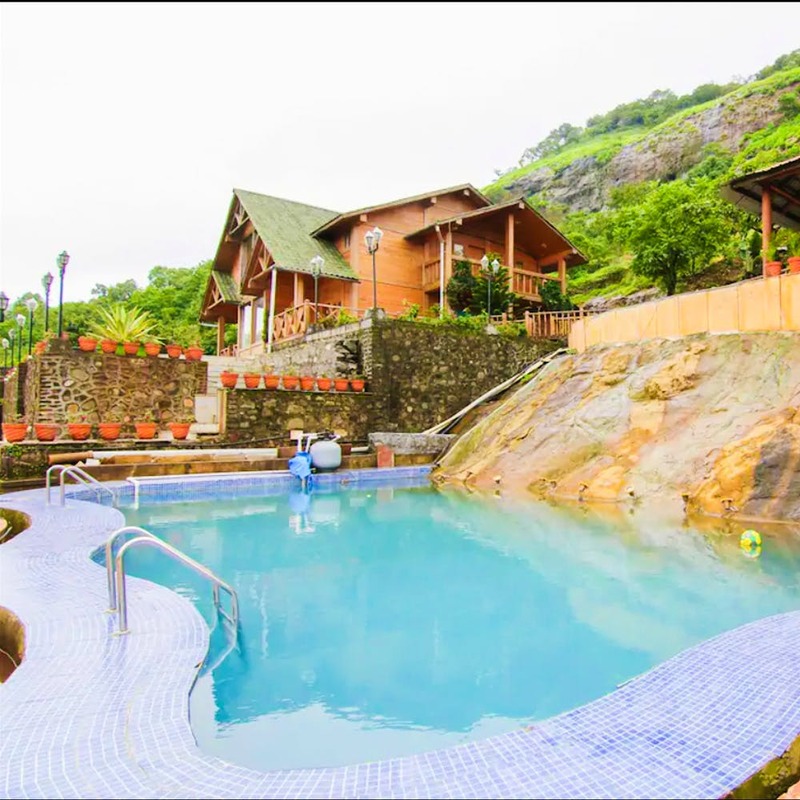 If you're looking to escape all the madness of the city, we found Vibhati Villa, a Russian-themed villa located only a few kilometres away from Lonavala, in Pawana. Located deep in the peaceful countryside and surrounded by rolling hills all around is this glorious looking wooden house called Vibhati Villa. A gorgeous space (to say the least), this 4BHK villa sits on a lush-green hill overlooking the majestic Pawana Dam. The four rooms in the villa are elegantly designed and are equipped with modern facilities, and it is an ideal space if you're looking for a quick getaway with your family or group of friends. Water babies, prepare to have a blast during your stay at Vibhati Villa- they have a huge swimming pool to take a dip in and relax. There's a juggling fountain attached to the swimming pool to keep your entertained too! The villa is completely accessible to the guests, and boasts of a fully functional kitchen (are you thinking bed tea too?) and if you don't want to cook, on prior request, a cook who is an expert with the local cuisine can be arranged for (at an additional cost, of course). The owner doesn't reside on the premises, but is only a phone call or message away if needed. The staff at the villa is extremely warm and at your service at all times.